But there’s always the lure of a more distant shore, a farther horizon — and a larger vessel to get there. Stepping up to your first “big boat” brings the promise of longer cruises and new destinations. 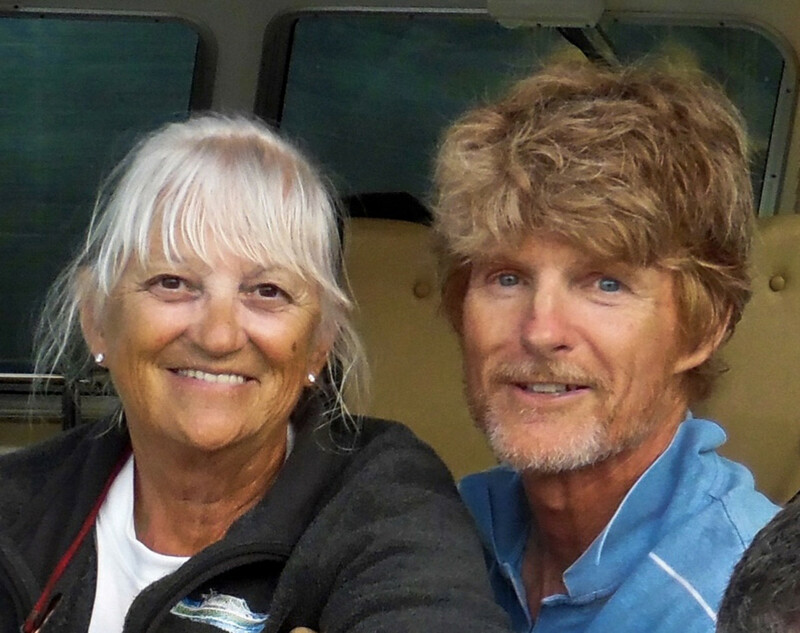 March and Lorry Young began their boating lives with a 6-year-old MFG runabout they bought in 1982. 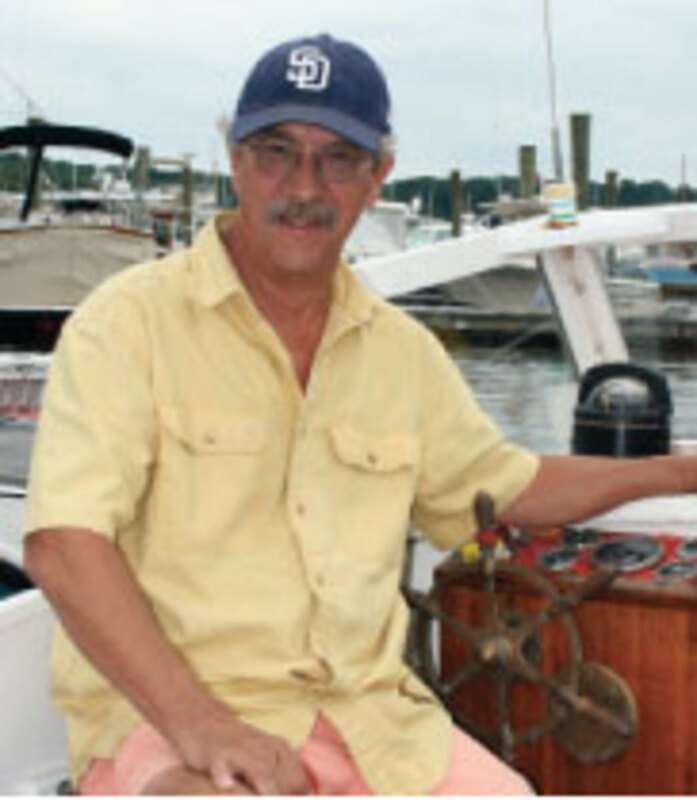 “We liked to cruise and explore the backwaters of the Connecticut River,” says March Young, 67, a retired aerospace engineer. 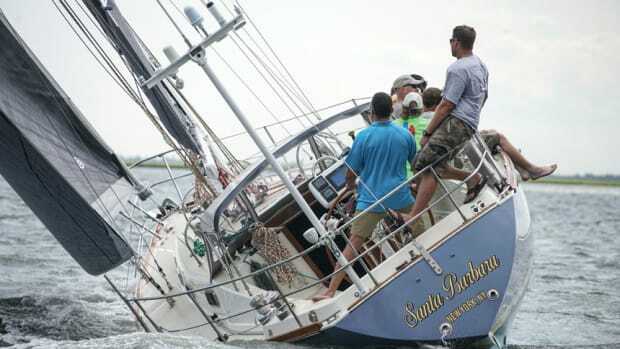 “The MFG tasted salt water on our annual trips to Saybrook Point Marina and a trip to Niantic” on Long Island Sound. 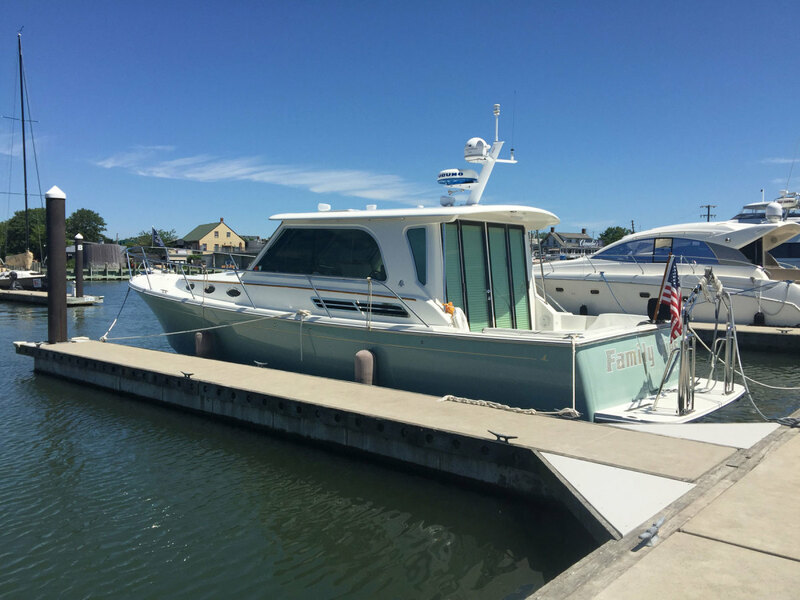 In 2005, the couple bought their first “big boat” — a 1999 Sea Ray 290 Sundancer that expanded their cruising grounds beyond Long Island Sound to Newport, Rhode Island, and Jersey City, New Jersey, where they’d tie up at Liberty Landing Marina. 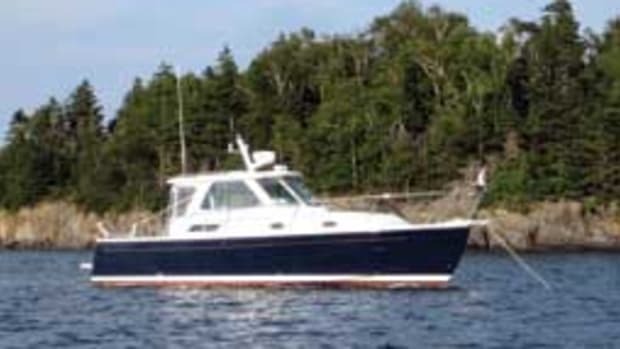 Four years ago, they traded the Sea Ray for a Back Cove 37, which has gotten them to Northeast Harbor in Down East Maine. 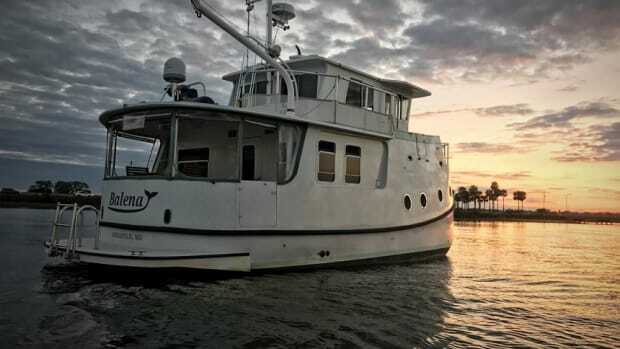 Plans are in the works for a cruise down to the Chesapeake aboard the single-stateroom, Mainebuilt, hardtop cruiser. 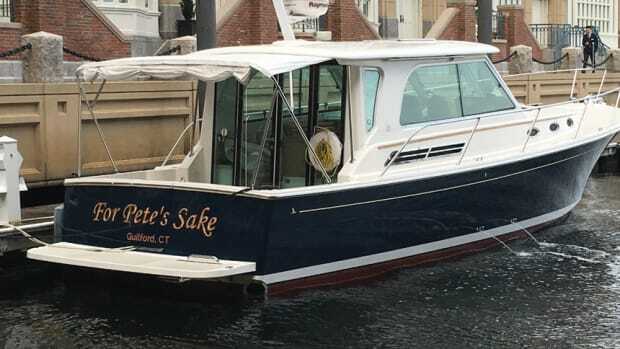 They found the Back Cove — and its owner — in Portland, Connecticut, at a 2013 Petzold’s Marine Center seminar on long distance cruising. As they listened to the speaker talk about his boat, the couple realized they were looking for just such a craft. The Cummins is a good match for the 12,000-pound boat. Average fuel consumption is about 1.25 nmpg, Young says. Cruising speed is 21 to 22 knots at 2,300 to 2,500 rpm. The modified-vee hull makes for reliable handling, Young adds. “The hull’s flare separates the water nicely in high seas,” he says, recalling a trip out of Narragansett Bay. 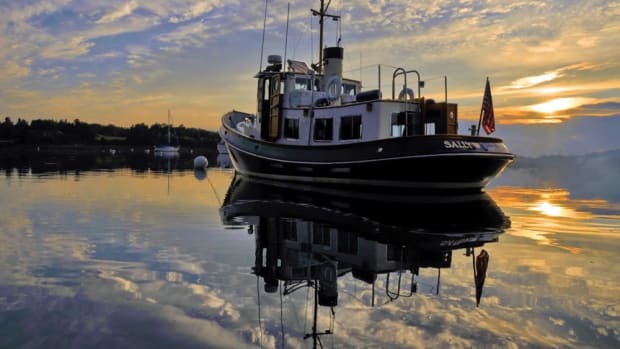 “We had a southwest wind and an incoming sea, and the ride was not for everyone, but the boat handled it well.” The boat also maneuvers well when necessary; Young found that out while dodging lobster pots in Maine. 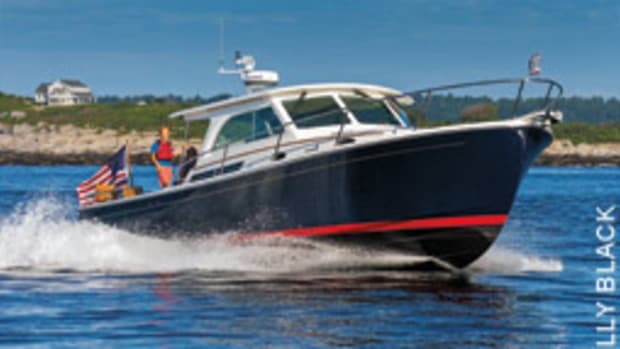 PowerBoat Guide calls the Back Cove 37 “an economical, low-maintenance luxury yacht … in the Down East tradition.” The 8-year-old model is built in Rockland, Maine, using vacuum-infusion technology. The foam-cored, modified-vee hull (16 degrees of transom deadrise) has high freeboard all around and a gentle sheer. There’s room on the foredeck for working lines, and the bow rail extends well aft for safety. The saloon/wheelhouse (with sliding entrance doors) has side windows, and the triple-pane windshield gives good visibility to the starboard-side helm station. The galley is up, to port, equipped with all the cruising amenities. There’s an L-shaped dinette and additional seating in the saloon aft. The cockpit has cushioned corner seating, and a transom door leads to the swim platform. The master stateroom is forward with an island berth and an adjacent head compartment with shower. An amidships stateroom is to starboard with a berth for two. The standard 480-hp Cummins diesel delivers a 24- to 25-mph top speed; the 600-hp model ups that number to 30 mph. Back Cove Yachts was founded in 2003 as a companion company to Sabre Yachts, the longtime Maine sailing and motoryacht builder. 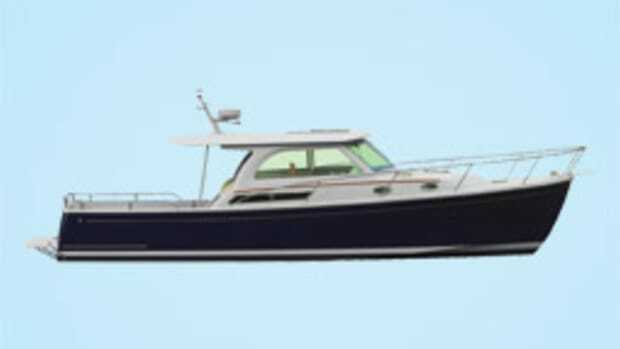 The goal for Back Cove was to produce a Down East-style cruising powerboat based on the single-engine Maine lobster boat. 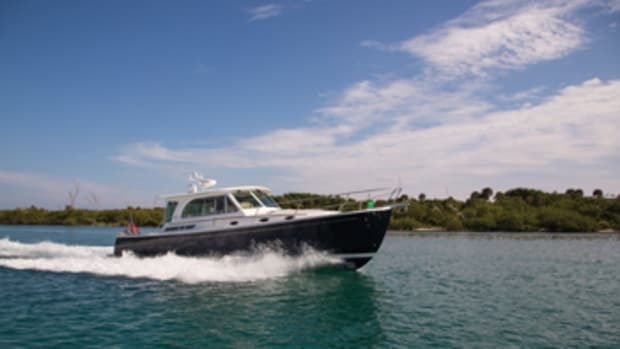 The Back Cove 29 debuted in 2003 as the first in a fleet that today numbers more than 700 boats from 30 to 41 feet. The Back Cove 37 came out in 2009.